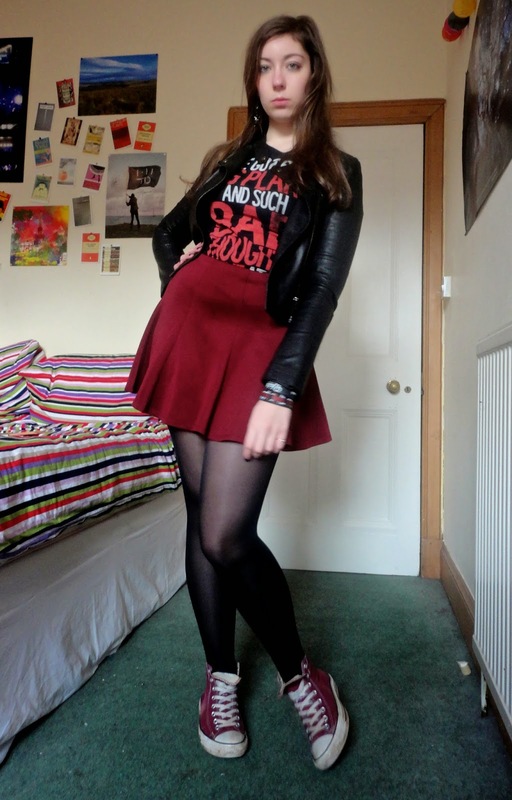 Leather jacket, Converse, and band merchandise - all the ingredients any rocker chick needs. 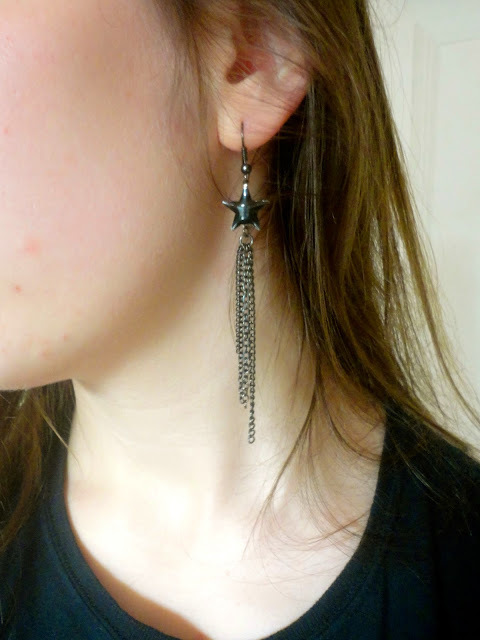 I don't often refer to myself as such, but I love music and sometimes I like to show this when I dress. 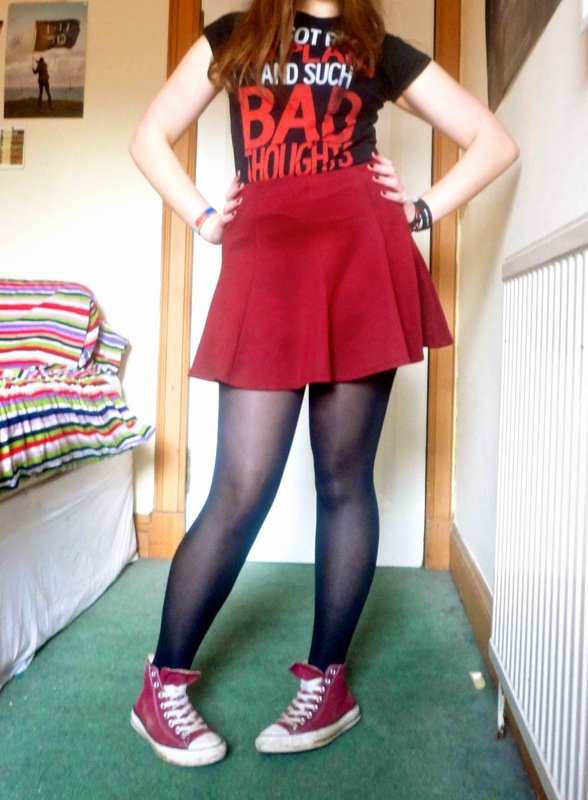 This You Me At Six t-shirt was one I bought the first time I ever saw them - sometimes I skip out on band merch if I'm not a fan of their designs, but I love the lyrics on this top ('I've got real big plans and such bad thoughts'). I also tend to view band tops as lazy and comfortable, but teamed with this skirt and a badass (fake) leather jacket, it feels a lot cooler. 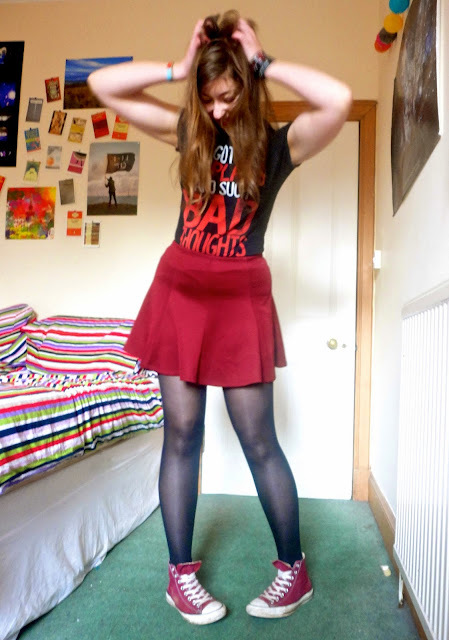 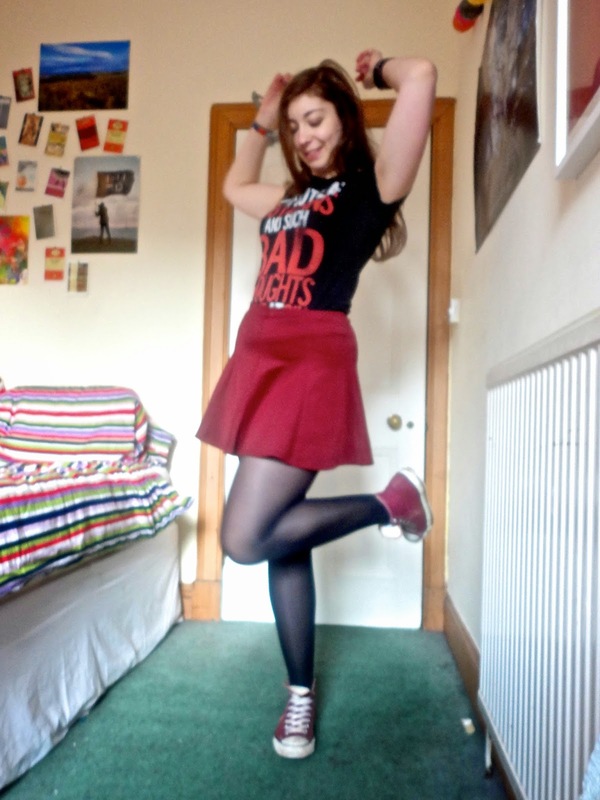 I think the black and red combination looks very rock as well, and my Converse and skirt just happened to match very well. 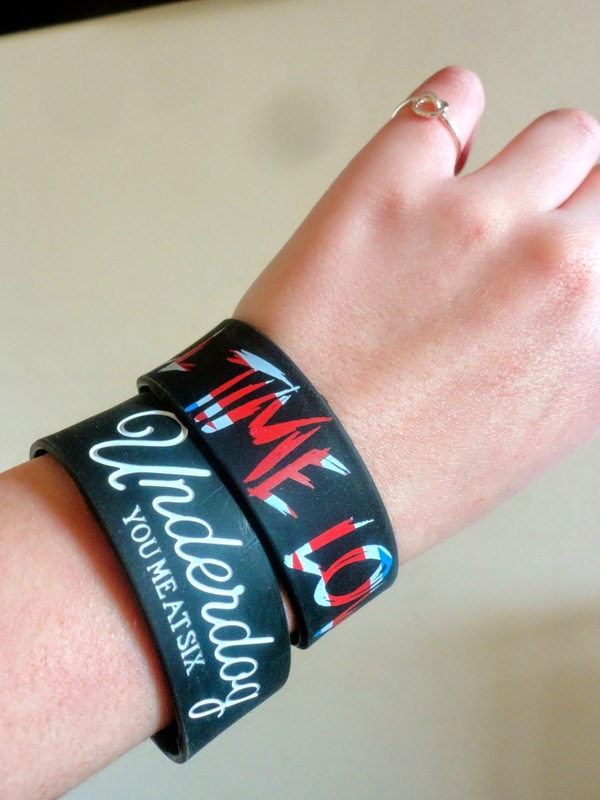 The wristbands came from the most recent time I saw You Me At Six, on their arena tour alongside All Time Low.